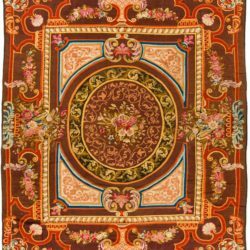 Antique Turkmen Yomud Main Carpet 6'6"×10'2"
Central Asian Rugs / Antique Turkmen Yomud Main Carpet 6'6"×10'2"
Wonderful Yomud Turkmen Main carpet. 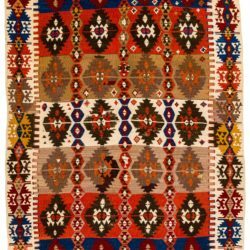 The weaver of this unusual Yomud rug has used designs that are traditional to the Tekke Turkmen group in the field and the main borders. The extra borders at both ends however are traditional Yomud work as well as the color pallet. Thick and soft wool pile in good original condition with tight weave give the rug a very luxurious feel and handle. Woven in the late 19th c. – circa 1870-80.